Our Voyager communicator badge (also seen in Star Trek: Deep Space Nine) was crafted using one of the only remaining sets of original molds, which was painstakingly restored in our artisan model shop. With the restored molds we were able to replicate the prop's size and shape exactly. To get the colors and paint details, we studied an actual screen-used badge. And once we had the design of the original matched, we took the whole thing a step further – rendering the replica in gold- and silver-finished metal (the on-screen props were made of painted resin). Love it! I have wanted one ever since this new design became the standard after Generations was released. 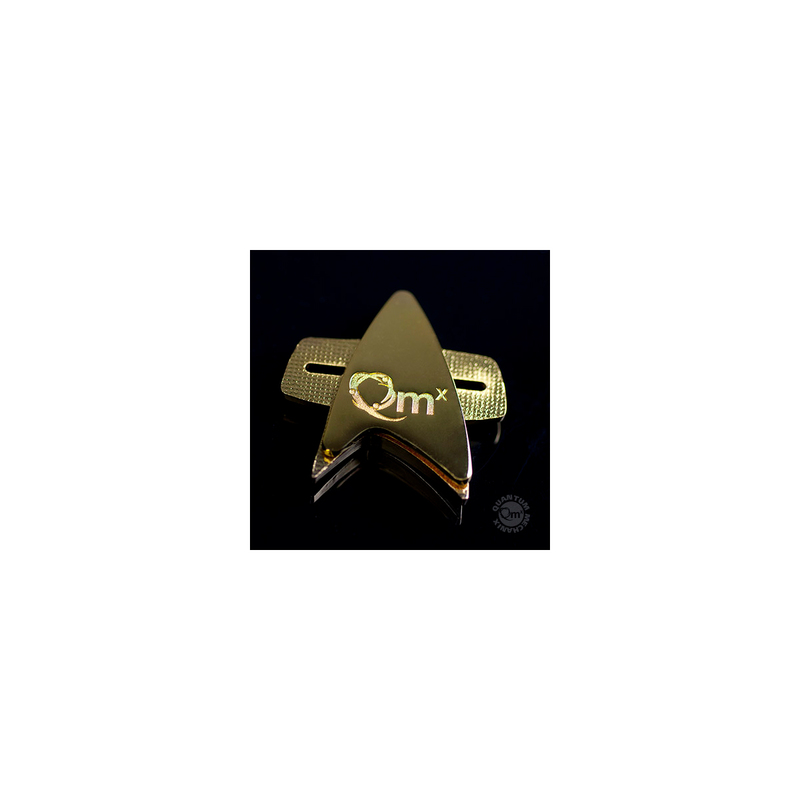 The magnetic clasp fits comfortably and isn't really noticeable. The price is reasonable as is, but I lucked out and combined it with one of the websites many deals. 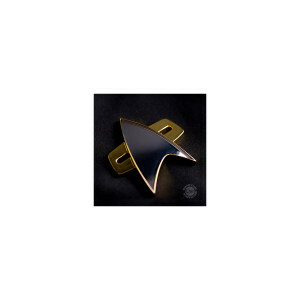 If you are a fan of the TNG films, DS9 or Voyager then this should be a must have item. Fantastic deal at this price. I recommend any Trek fan picking this up. Looks even better in person. I’ve just received this and I’m very happy with it. It’s solid and appears to be well made. 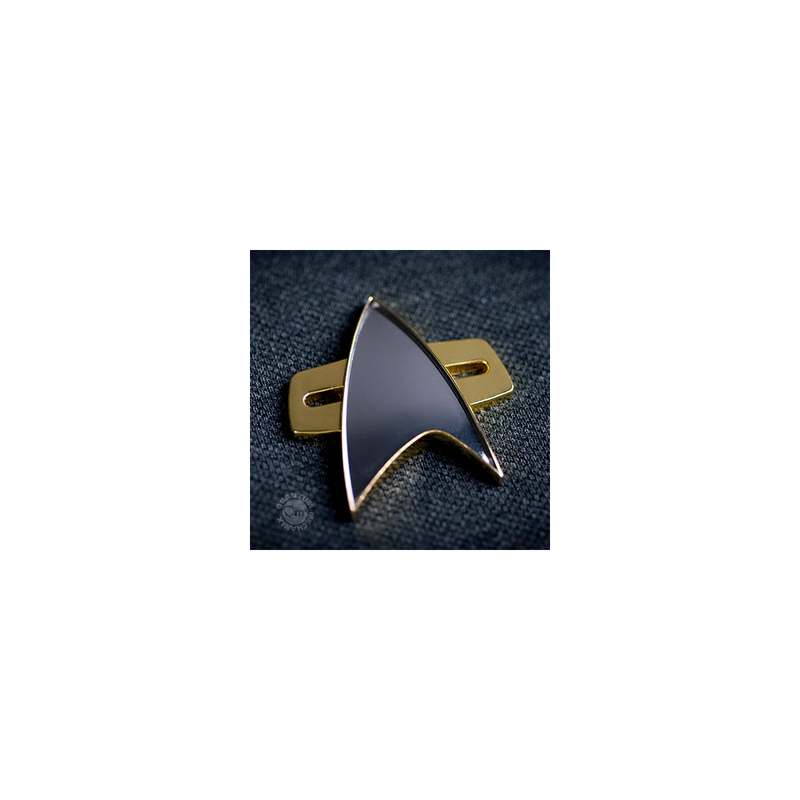 I can’t wait to wear it out on my day off, once I’ve taken my Starfleet Command uniform in to be altered. I expect to have more than a few stares. Live Long and Prosper ?? I can't believe the quality!!! I highly recommend it! In love with this. made of metal and is magnetic and not a pin. Highly recommend! Looks great, all metal, perfect for a cosplay or just feeling nerdily dressed up. The quality is fantastic!! Looks great and is very well made!! I have several of badges from various series and they are great gifts for any true star trek fan. They are perfect to wear with formal attire. The magnetic attachment format does not hurt the clothing. I just can't write enough good things about them. Metal has a beautiful finish to it, making it lustrous in any light. Stays in position well, and due to the magnetic rear-delta, allows for ease of re-positioning without having to detach the back magnet. My only wish other than a stronger magnet, or 2 magnets, is with the current state of micro-electronics, they could easily install a bio-touch-sensor and chirp circuit that could easily fit within the confines of the items current size. Naturally, this would drive up cost, but I'd pay for it anyway! This was a gift for my 8 year old daughter who is a huge Star Trek fan. I mostly just display it, but I intend to wear it from time to time. It is exactly as described and pretty easy to wear. The biggest drawback is that it easily shifts position when worn. Used for a Star Trek party, they were perfect. Held on well, didn't spin, and they're super shiny!